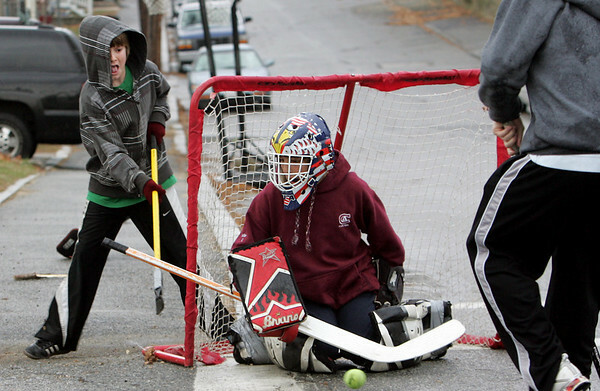 Gloucester: From left Terrance Lane, 11, Michael Russo, 14, and Coltyn Rivas, 14, play a game of street hockey on Beauport Avenue Friday afternoon. The boys didn't seem to mind the light drizzle and said they play street hockey almost everyday. Mary Muckenhoupt/Gloucester Daily Times.